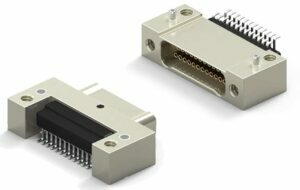 Ulti-Mate Connector, a provider of miniature connectors and interconnect solutions, has released a whitepaper outlining factors for consideration when integrating nano interconnects into miniature electronics designs such as those found in small unmanned aerial systems (sUAS) and other unmanned vehicles. Choosing the right interconnect solution is critical for successful design of modern rugged electronic systems and subsystems. To find out more, download the whitepaper from Ulti-Mate’s website.